This magazine is in typical condition for a well cared for issue that is of this age. No major rips or tears, spine is intact, see photos for actual magazine condition.The original mailing label is attached to the cover. item 3 TIME June Jun 5 1972 6/5/72 USSR MOSCOW SUMMIT NIXON ++ + Great BIRTHDAY gift! 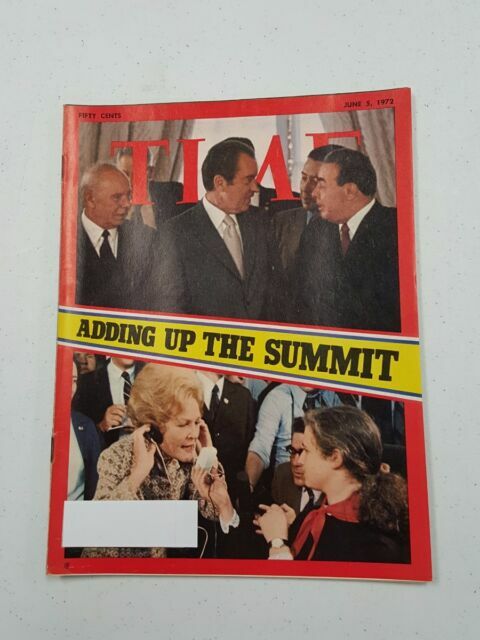 -TIME June Jun 5 1972 6/5/72 USSR MOSCOW SUMMIT NIXON ++ + Great BIRTHDAY gift!